Marshall Retail Group, in partnership with Caesars Entertainment, announces the opening of Misura men’s retail store in the Valley, located inside the Appian Way Shops at Caesars Palace. ciPlay Corporation ("SciPlay"), the social gaming business of Scientific Games Corporation, today announced that it has commenced the initial public offering of its Class A common stock. SciPlay is offering 22,000,000 shares of its Class A common stock. The initial public offering price is expected to be between $14.00 and $16.00 per share. A few days before the great event of the gaming industry, Zitro Experience, in Argentina on April 25th, Zitro reviews the progress made since the last edition of this event last year that have made their Bryke Video Slots a safe bet for any operator from Argentina, from Latin America or anywhere worldwide. 1Q hold-adj EBITDA beat cons by 5%, with Macau & Singapore beats. While Macau mass hold was also high, mkt share was the highest since 2Q15. We raise our ests and valuation multiple to reflect greater confidence in our mkt share thesis & the China outlook; our PT increases to $71 from $66; OW. Blackstone Group is exploring strategic options for the Cosmopolitan hotel and casino in Las Vegas, including a possible sale of the strip property, according to a person familiar with the matter. 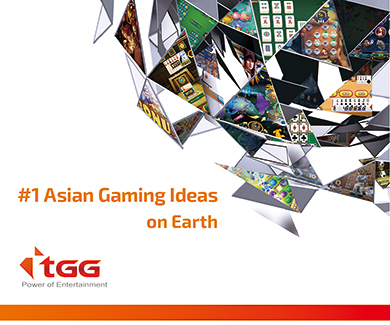 Asia’s leading gaming industry media brand, Inside Asian Gaming (IAG), is pleased to announce its involvement in the Financial Technology Asia Forum at G2E Asia 2019, in partnership with forum curator Alphaslot.